In today’s global marketplace our customers demand that we have reliable and consistent systems in place to ensure that the products and services we supply meet or exceed their requirements. 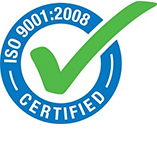 We operate a mature Quality Management System. 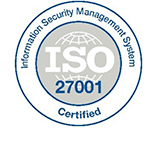 This is soundly based on internationally recognised and accredited quality management system registrations including: ISO 9001:2008 – Quality management systems and ISO/IEC 27001:2013 for Information technology – Information security management system. Effective identification and management of risks and hazards. Both certifications are externally audited by a UKAS accredited registration body to ensure compliance, as well as continuous review and improvement of our processes. Together, these registrations provide assurance across our whole range of product and services. Disclaimer: CHD shall hold responsibility for the accuracy of the information they publish and neither the Scheme Operator nor the Scheme Owner shall have any responsibility whatsoever for costs, losses or direct or indirect damages or costs arising from inaccuracy of information or omissions in information published on the website on behalf of CHD.